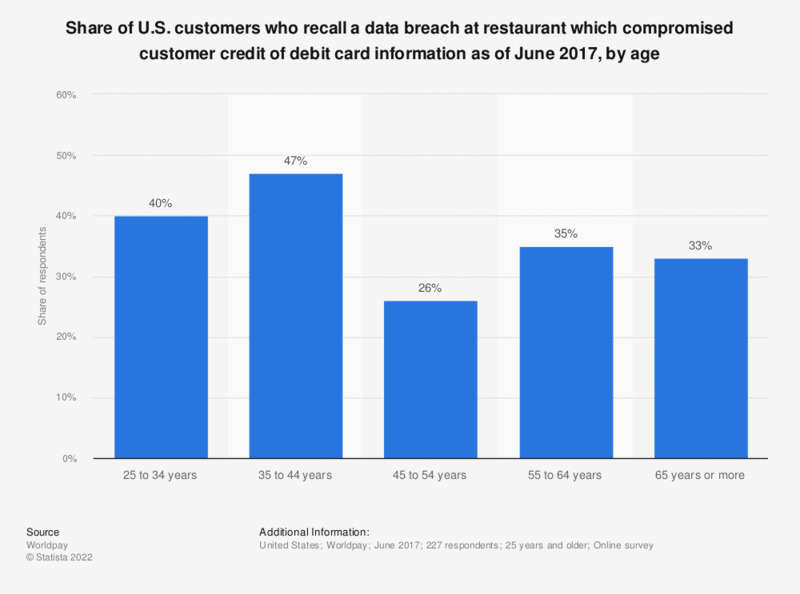 This statistic presents the share of U.S. customers who recall a data breach at restaurant which compromised customer credit of debit card information as of June 2017, by age. According to the June 2017 survey, 40 percent of respondents aged 25 to 44 years recalled a restaurant experiencing a data breech. This question was phrased by the source as follows: "Which of these types of retailers or restaurants do you recall experiencing a data breach that may have compromised customers’ credit and debit card information? ".